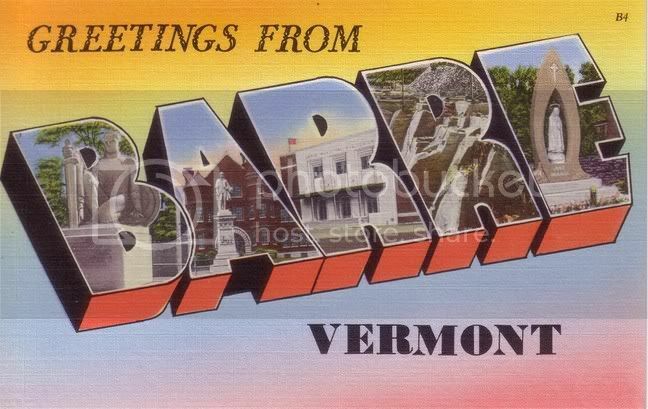 In an interesting marketing move, Ski Vermont, the marketing arm of the Vermont ski industry, has decided to promote Vermont bands as a part of their attempt to broaden the "Vermont brand". There's two parts of this. The first is a CD sampling Vermont bands which will be distributed at trade shows. The second part is a jukebox on Ski Vermont's site that streams about a hundred tunes from Vermont bands. Both projects are being done in concert with Big Heavy World, the non-profit Burlington music promoters. I don't know how much impact this will have on either the ski industry or the bands involved but it's nice to see some cross promotion. I could squabble with the bands selected for the jukebox but that's BHW's call and it seems to change every few weeks. So, perhaps some of my favorite local bands were included in other playlists. My only suggestions for improving the jukebox would be to have the songs automatically play one after the other. The way it works with my Mozilla browswer is that I have to hit the "|>" button at the end of each song to jump to the next one. It's nice that there is a link to the band's website on the jukebox but it would also be nice to be able to download the mp3 directly from the player. Otherwise, it's a cool easy way to check out some VT bands. It plays right through for me. Too bad I haven't enjoyed most of the music. But it's a great thing none-the-less. I guess we've found the one advantage to IE over Firefox. Yeh, I think BHW could have picked some better bands too.